Client Spotlight: Arizona Women’s Education and Employment (AWEE) is proud to introduce…. Arizona Women’s Education and Employment (AWEE), Arizona’s preeminent career development organization, offers a diverse range of evidence-based training and support services throughout Maricopa and Yavapai counties. AWEE believes that unlocking ones greatest professional goals and dreams should depend on skill and effort — and nothing else. Yet professional women know all too well that there are often invisible barriers, blockades and discrimination that block us from reaching the goal line. These can come from other people, the world in which we work, and sometimes they can come from inside ourselves. 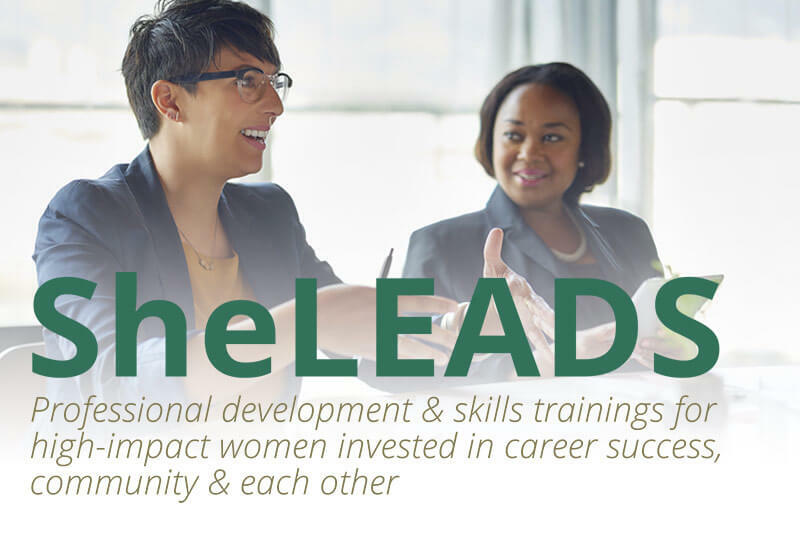 We invite you to join the inaugural committee of SheLEADS: a high-impact network of talented, professional women seeking professional advancement and community change. Learn skills to help shape your success in our 21st century global economy, and meet others along the way. Applications are due on Wednesday, December 23, 2015.